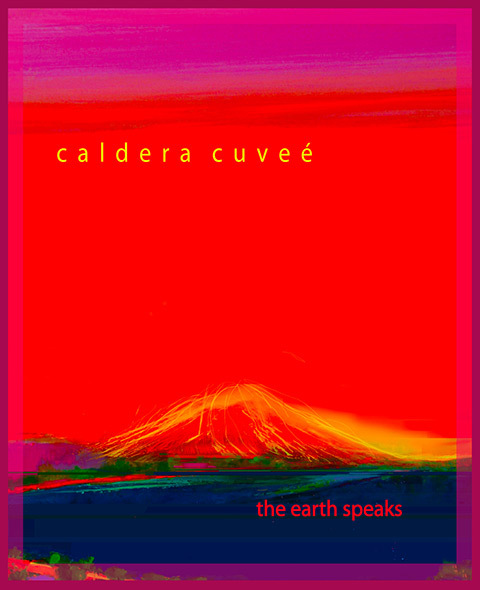 Caldera Cuveé - Doctor's Orders ~ Drink This Wine! Doctor's Orders ~ Drink This Wine! Caldera Cuveé is a blended artisanal red wine made the old-fashioned way. It is a natural, organic California red made by someone with only one goal - if no one ever buys it, am I prepared to drink it all? The resounding answer is, "You Bet!" Leading to measurably more natural nutrients flowing from soil to grapes. Nutrients = Flavor. Better “plumbing” = greater resistance to disease and pests. HUGE. It can be proven! The hillsides grapevines love. Come see for yourself! And, the true wonder-soil, calcium-montmorillonite. 11’ spacing between the rows. Neutral oak - all you taste is the wine! Don't get me started about barrel toasting and how that impacts taste. Natural from start-to-finish, including a straw-bale winery. Nature’s yeast! All leading to great taste - many claiming the best they have ever tasted! The 2012 vintage will be released when we ship the wine to club members in late October. Like its' predecessors, you'll find a luscious combination of Cabernet Sauvignon, Merlot and Cabernet Franc - don't delay!